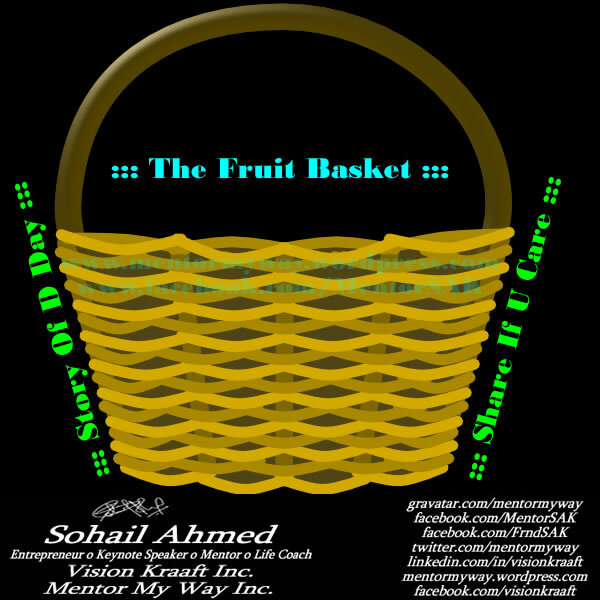 ::: The Fruit Basket ::: – Mentor My Way Inc.
An old Farmer lived on a farm in the mountains with his young grandson. Each morning Grandpa was up early sitting at the kitchen table reading The Holy Quran. His grandson wanted to be just like him and tried to imitate him in every way he could. One day the grandson asked, “Grandpa! I try to read The Holy Quran just like you but I don’t understand it, and what I do understand I forget as soon as I close The Holy Quran. What good does reading The Holy Quran do?” The Grandfather quietly turned from putting coal in the stove and replied, “Take this coal basket down to the river and bring me back a basket of water.” The boy did as he was told, but all the water leaked out before he got back to the house. The grandfather laughed and said, “You’ll have to move a little faster next time,” and sent him back to the river with the basket to try again. This time the boy ran faster, but again the basket was empty before he returned home. Out of breath, he told his grandfather that it was impossible to carry water in a basket, and he went to get a bucket instead. I wish you would smile in your photographs, it much friendlier. Thanxxxxx for the Woderful Comment. The Blog is Inspiring & Motivating People Across the Globe in 123 + Countries and 6 Continents. A Collection of Motivational & Inspirational Stories, Pictures, Quotes & Messages.